He was always an entertainer… There was always so much drama when he was around. As a child, he loved to perform. Whether at birthday parties or competitions, he would dance at the drop of a hat. Even without an audience, he was a riot. We shared the same room for several years before I left to attend university in London, and even though we were very close, being just a few years apart, we fought like crazy. I’m talking physical WWE-style fights, where we taped the superstars of the league and actually bashed each other up! My daughter Samara, in fact, enjoys watching us fight (verbally now, of course!) even today. She loves listening to our childhood stories and all the havoc we created as kids. One of our big targets back then was our Nani, who lived with us when she was alive—we played a lot of pranks on her, one of the reasons being she was very sporting about it. My favourite childhood memories are of us at our Chembur home. Come Friday, we would pack our bags and head straight to our grandparents’ home after school with our friends and cousins in tow. Saturday we’d head to Big Splash, the water park in Vashi, followed by lunch at an Udipi joint nearby. Ranbir watched every movie under the RK banner—he was definitely inspired by our granddad to become an actor. And even though our grandad passed away fairly early, we continued to spend every weekend with our dadi [Krishna Kapoor, who passed away recently]. As an actor, he is such a natural performer. When he takes on a role, he gets totally into it. He lives, eats and breathes that character. Halfway through Sanju (2018), I forgot it was my brother playing the role and actually believed he was Sanjay Dutt. That says volumes about an actor. Once a movie is over, however, he just as easily snaps out of it. I think that’s special—not many actors can do that. Ironically, in spite of all his ‘dramatics’, he’s taken after my mum—he doesn’t get rattled easily. That being said, he is certainly not an introvert. I am, on the other hand, exactly like my father [Rishi Kapoor]. I have no filter and will say just about anything that comes to my mind. Like most of us, he, too, has seen success and failures, but he has never let the box office make or break him. He is extremely dedicated and gives every role his all. And, while he is reserved, his mind is always active. He lives to work. 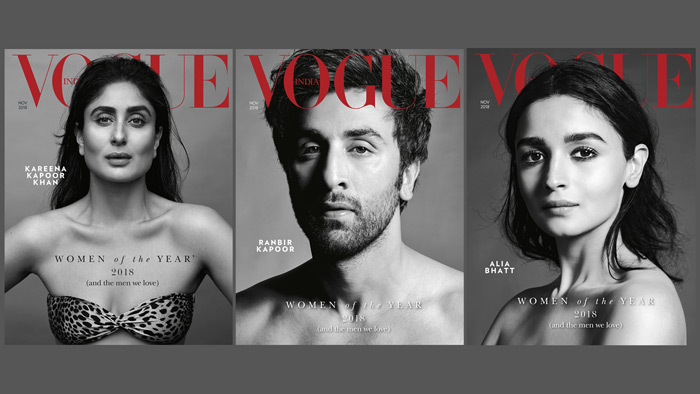 The post Ranbir Kapoor’s sister shares little-known facts about his road to stardom appeared first on VOGUE India.